Hooray for another Zen Dog Spotlight! 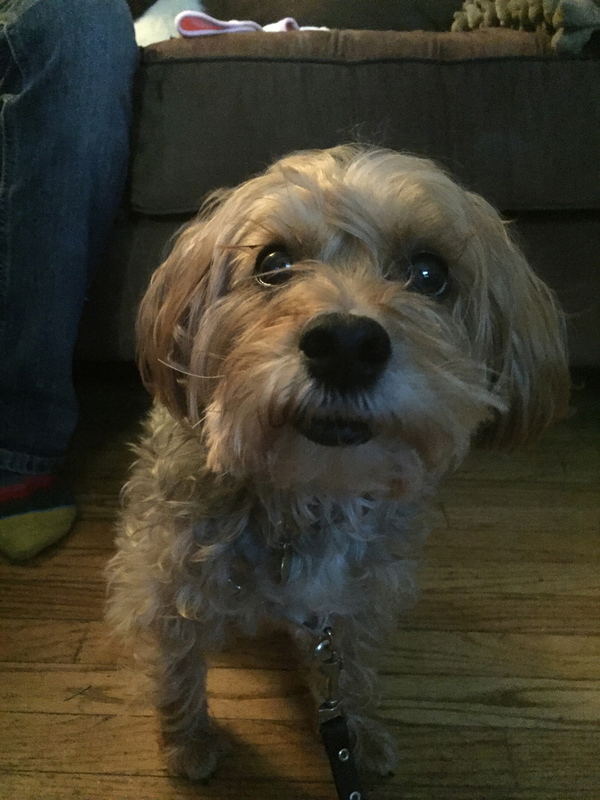 This week we are delighted to introduce you to adorable and always entertaining yorkiepoo, Charlie! We absolutely love hanging out and visiting Charlie when his mum and dad are at work. He's been featured in Merry Christmas from DogZenergy and Zen Dog's New Year Resolutions, along with his adorable mug on our social media! Charlie is such a little love who absolutely loves to cuddle up with you and will literally be your shadow. 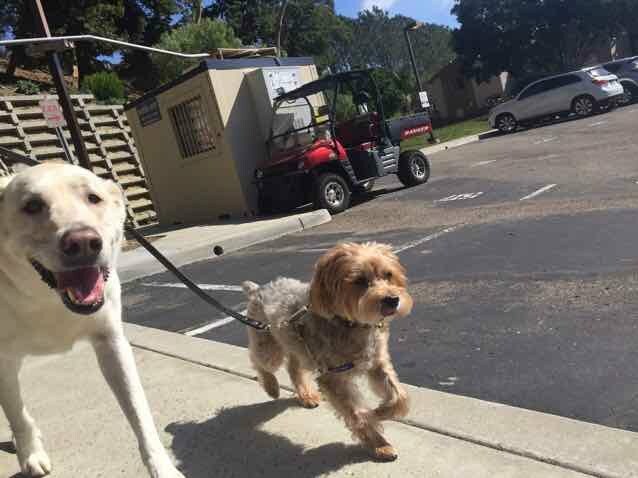 He adores his early afternoon walks with awesome DogZenergy team member, Tristan and continues to make friends wherever he goes. Here's Charlie! "Hi there! I’m Charlie Brown Bensley. I’ve just recently moved to San Diego from New York City and boy was that a trip! My parents sure do love to sing in the car. #mypoorears "
"My purple toy is by far my favorite. When I bat it around and tip it over, treats come out! It’s a never-ending source of joy." "Sleeping is my favorite and I do as much of it as I can. In the afternoons my friend, Tristan from DogZenergy, comes to visit and we take nice long walks outside. I love the smelling all the smells. On the weekends I try to tag along with my peoples to explore new beaches, parks and restaurants. Any time with my peoples is a happy time for me. My ideal day would involve endless belly rubs and a bottomless bucket of liver treats." "My best friend is one of my peoples, Ryan. He moved to the US from Australia and calls me, “Mate”. He was slow to warm up to me as he had only been around farm dogs, but I won him over! We have a special game we play together called “Huff & Puff”. It’s my favorite." "Ugh, stop asking me if I ate my breakfast! I’ll eat it when I’m good and ready. Just because I have a bit of class and don’t inhale my meals… Geesh." But please never stop asking if I want a cookie. YES, I always want cookies. Please and thank you." "I’ve been dabbling in the arts for some time. Check out my acting/modeling on Instagram @mycharliechannel I’d be grateful for any award I receive and have already been practicing on the red carpet. " "When I was a puppy I was afraid of fire hydrants. Especially the yellow ones. But now… They’re afraid of me! And sometimes when I play fetch, I get SO excited about the game that I forget to bring back the toy. But that’s okay, it give me a reason to run some more! 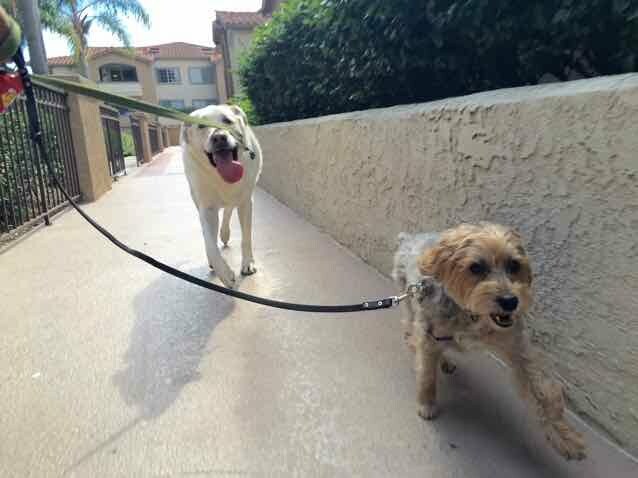 #secondtimesacharm "
Thank you to Charlie, his mate Ryan and momma Tracy, for participating in this week's Zen Dog Spotlight!